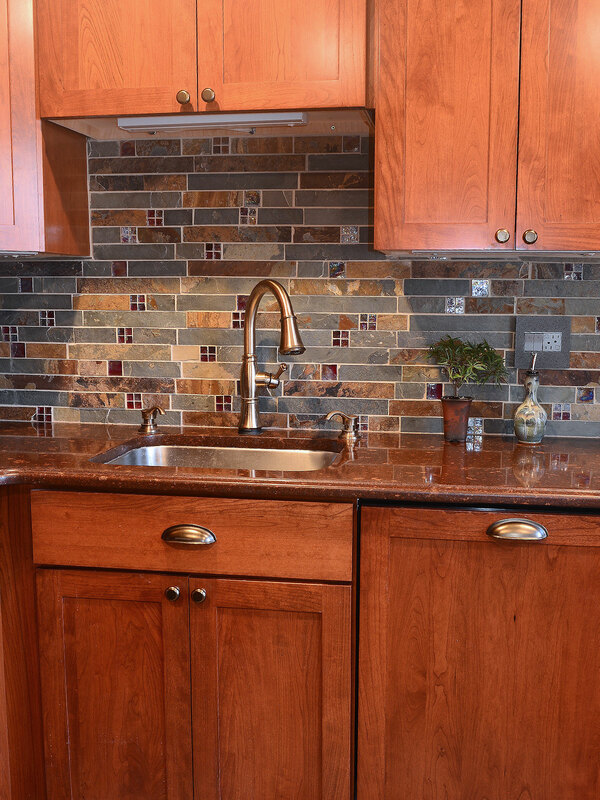 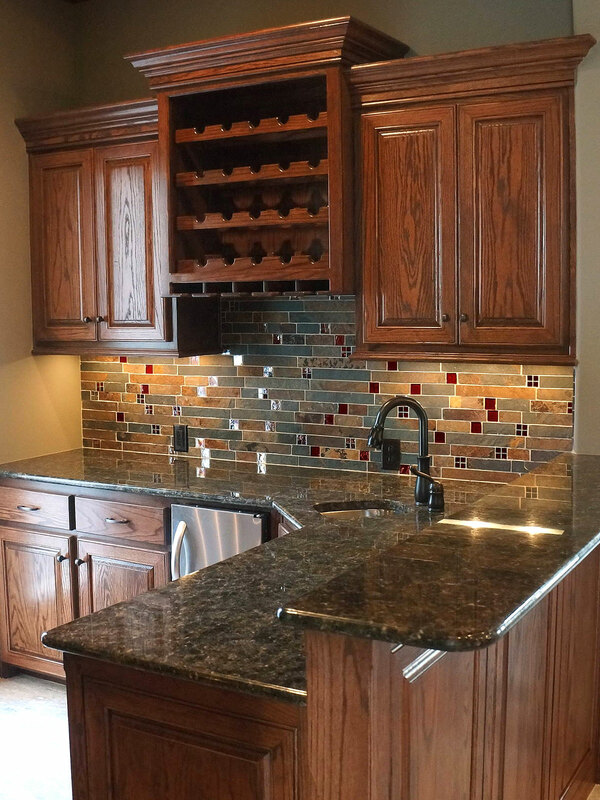 Ships out within "2-3 Weeks"
Rustic California Gold Slate tile mixed with burgundy color glass inserts mosaic is an elegance subway slate glass mosaic kitchen backsplash tile. 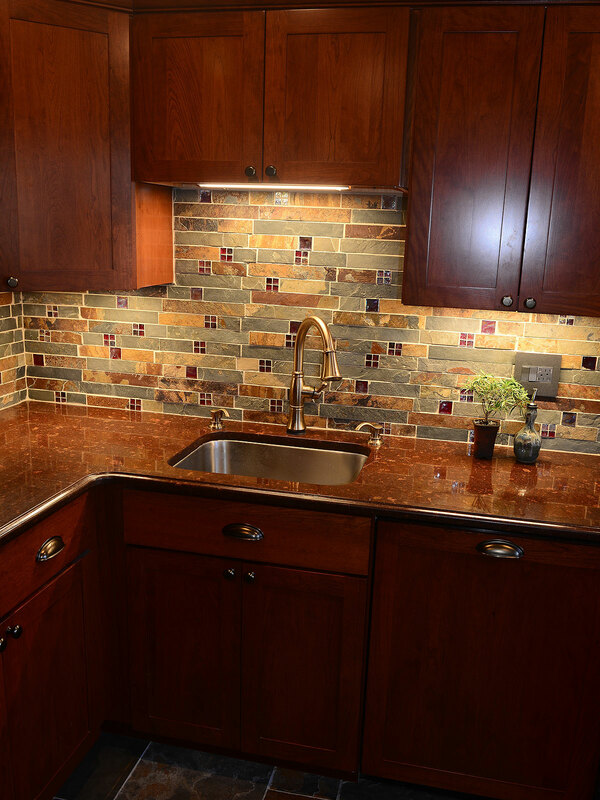 California gold slate tiles come with a variety of earthy colors such as rusty brown, brown, gold, green, light gray and dark gray. 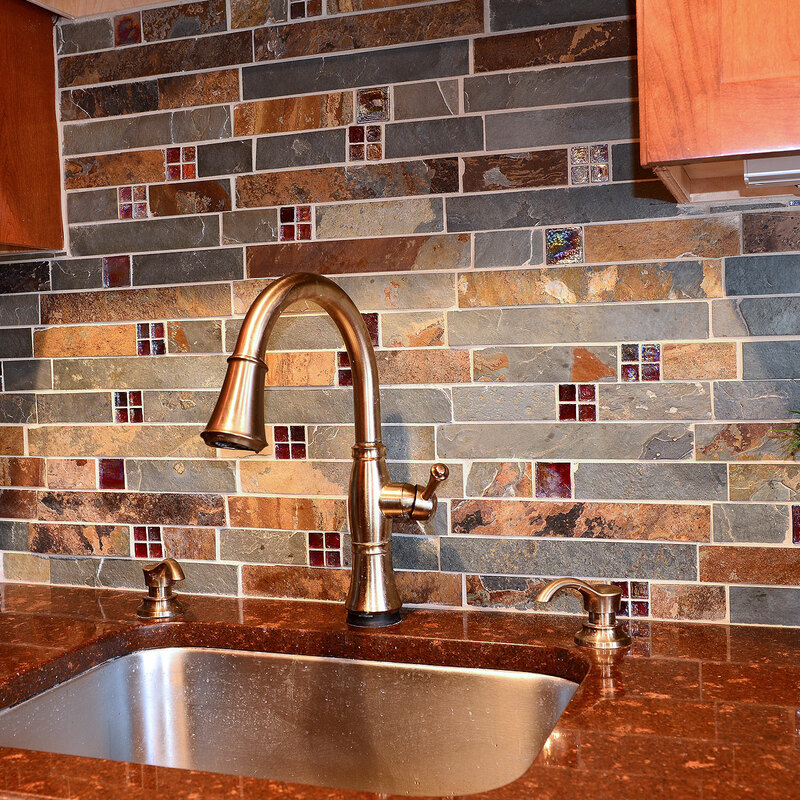 The colors of this mosaic tile feature a warm golden element that adds character and warmth to space that can be rustic or casual. 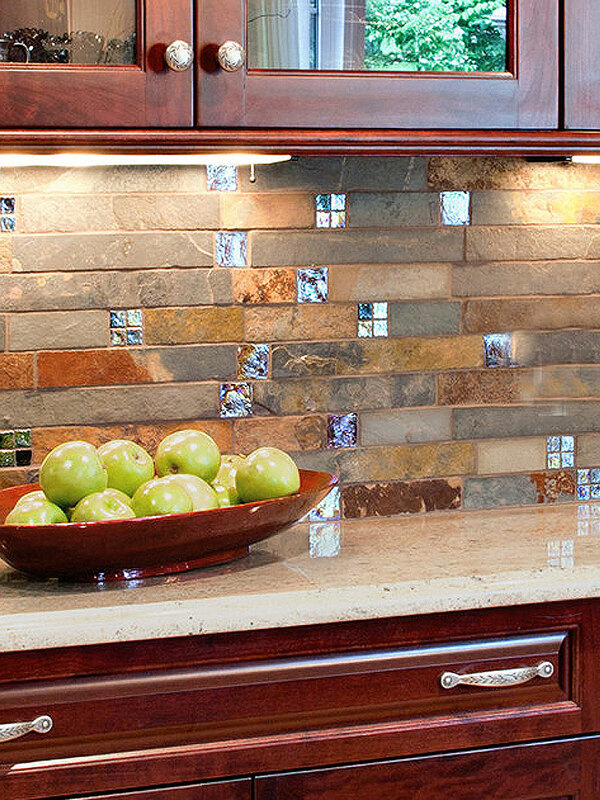 Rustic style mosaic comes with an attractive textured surface. 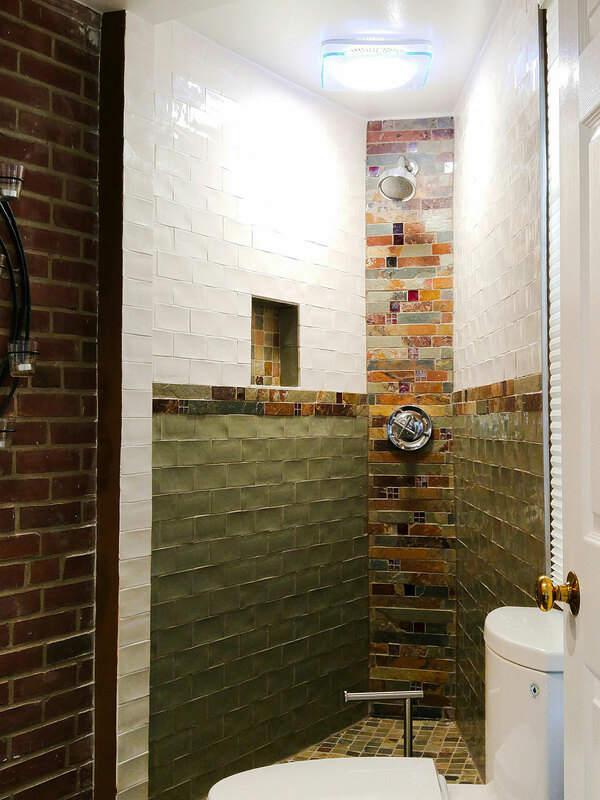 2 sets of burgundy color glass tiles give extra characters to mosaic tile. 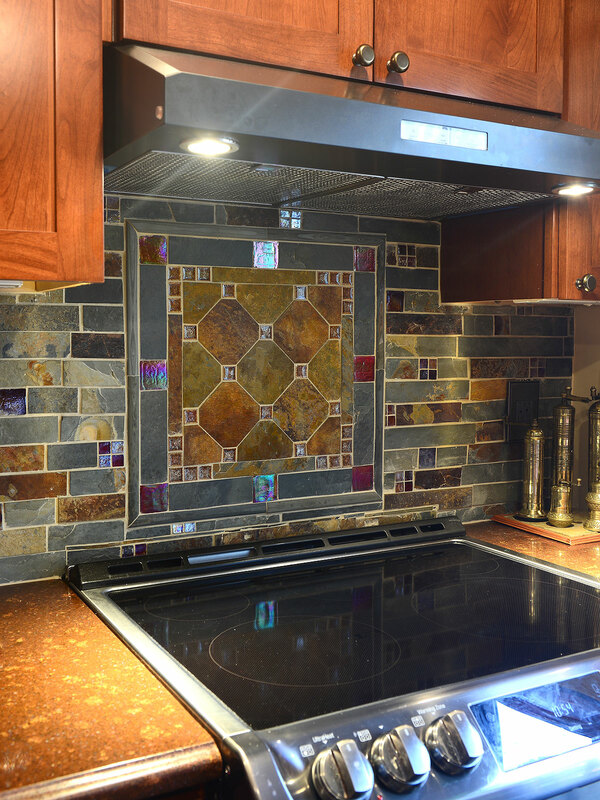 Glass tiles are burgundy color and some of them come with iridescent coated gives more color options. 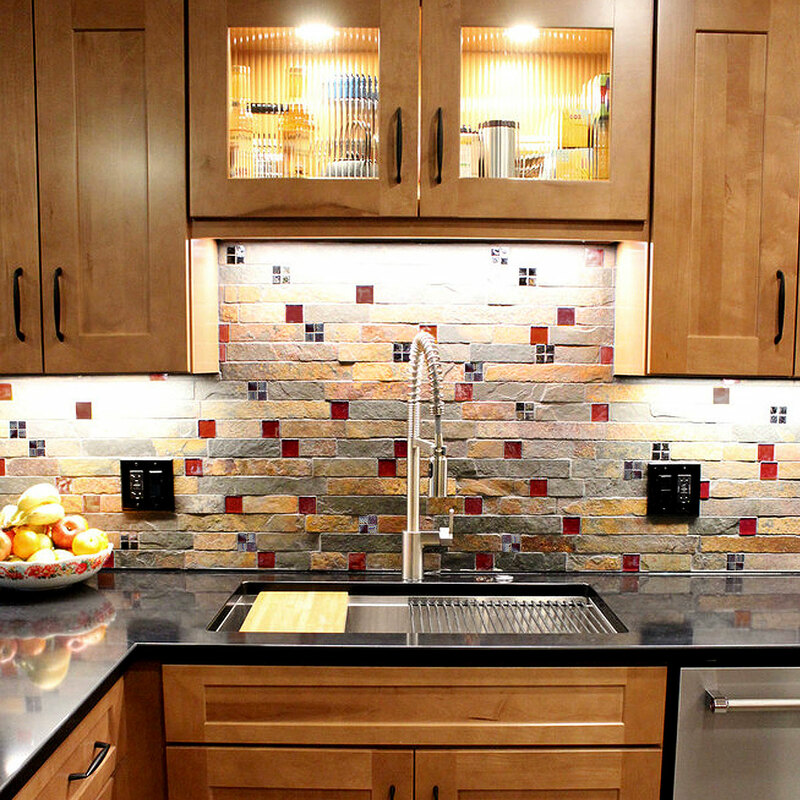 Backsplash tiles, Kitchen Cabinets, and Countertop Options. 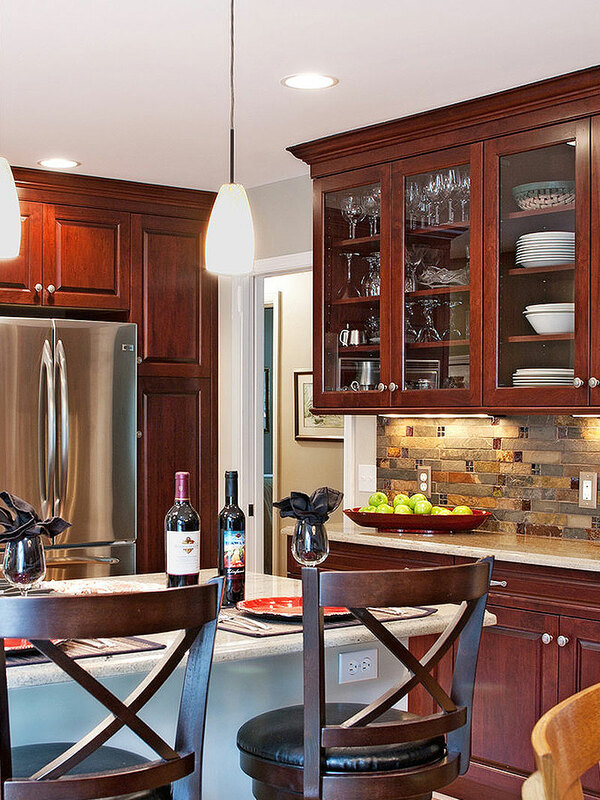 Design Your Kitchen your self.